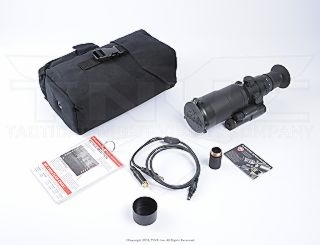 The IR Hunter Mk III (60mm) takes all the features and performance of the Mark II and adds a long range 7? field of view lens with a stadiametric range finder. 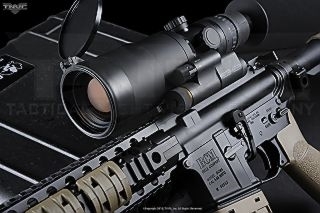 The 4.5x magnification combined with the 640?480 resolution 12?m micron Long Wave Infrared thermal core delivers the perfect combination for a 24/7 weapon sighting platform. One of the benefits of the 12?m micron technology is that it delivers 50% more magnification from the same lens used on a 17?m micron thermal core. 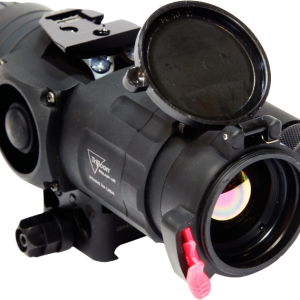 This means the 60mm thermal lens offers the same magnification and FOV of a 90mm lens. In addition to this incredible power’,’ the Mk III comes standard with a real-time 60Hz fast frame rate. No clipping or video slow-down. 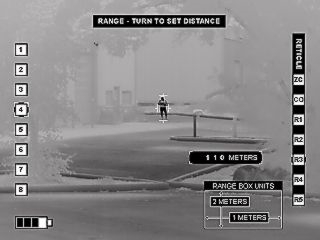 60Hz is incredibly useful for leading fast targets moving lateral to the operator?s position. But’,’ the user can switch frame rate to 30Hz to conserve battery life. 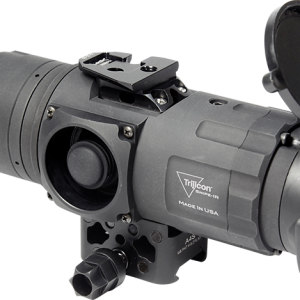 The IR Hunter Mk III brings the technology used by Special Operations Forces to a civilian-legal weapon sight.